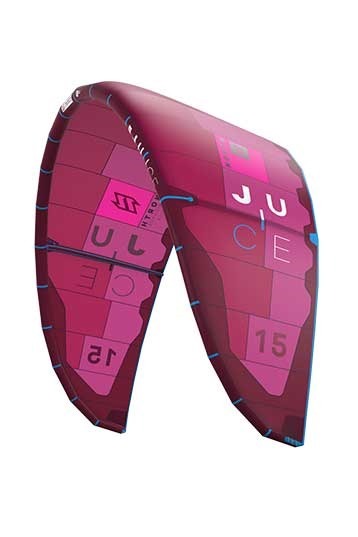 Already launched in 2014 the Juice got more kiters out in less wind than any kite before. It’s a freeride machine aimed at the rider who never wants to go to the beach and be disappointed. The kite features a lightweight design that delivers impressive low end power whilst retaining a dynamic bar feeling and responsive handling. Perfect for the 8 knot plus days on a Spike or a Nugget! The Juice is available in two sizes, 15m and 18m. For smaller riders the 15m is the perfect lightwind companion while the heavier riders will benefit from the extra power of the 18m. Defy the wind gods and keep a Juice in your quiver to guarantee even more time on the water.